Dean Cameron began her career in private practice in a commercial law firm in Halifax, Nova Scotia where she specialized in civil litigation. While in practice she was a frequent presenter at continuing legal education seminars and bar admissions courses, and taught Civil Trial Practice and Civil Procedure as a sessional lecturer. After ten years of law practice, she obtained an LLM degree at the University of Cambridge and then took up an academic appointment in Hong Kong. Prior to joining the Schulich School of Law, she held academic posts as the Dean of Windsor Law at the University of Windsor, and as a Professor at the University of Melbourne, Australia where she served a term as Associate Dean and as Director of the Civil Justice Research Group. Her interests in comparative law and legal institutions in post-conflict societies led her to Cambodia in 1996 where she worked with a human rights group training lay criminal defenders and judges. She has worked as a consultant on similar international development projects in various countries, including Cambodia, Vietnam, Laos, Mongolia, China, Thailand, and Indonesia. Dean Cameron’s current research focuses on class actions, litigation funding and the administration of civil justice. She is a member of an international research collaborative group that is presently working on a book on comparative class actions. She has presented on these and related topics at national and international conferences. With her colleague Professor Jasminka Kalajdzic she organised and hosted a conference in July 2013 on litigation funding, and is presently working on an edited collection of papers presented at that conference. Recent publications include Aid-Effectiveness and Donor Coordination from Paris to Busan: A Cambodian Case Study (with Sally Low), Law and Development Review, 5(2), 167-193, 2012, and The Price of Access to the Civil Courts in Australia: Old Problems and New Solutions - A Commercial Litigation Funding Case Study (in Cost and Fee Allocation in Civil Procedure, Springer, 2011). 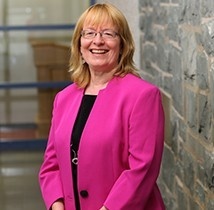 Dean Cameron has served on numerous committees dealing with academic and senior administrative appointments and promotion, research integrity, reviews of academic departments and faculties, teaching quality and university governance. In Windsor she has been the Chair and a member of the Board of Governors of Legal Aid Windsor, and she is presently the Chair of the Advisory Board of Community Legal Aid and a member of the Board of Directors of Hiatus House. She is a Professorial Fellow at the University of Melbourne, Australia and has been a Visiting Professor at the Chinese University of Hong Kong and the University of Oxford. My teaching philosophy: One of the things that makes law such a rewarding career choice is the wide scope of the knowledge, skills and attributes that lawyers are called on to master during their professional lives. It is impossible for law students to learn in law school everything they will need to know as professionals. For that reason, I think the purpose of law school is to help students 'learn how to learn'. With that in mind, I think that inquiry, problem-solving and challenging conventional wisdom should be at the heart of the law school learning experience. Teaching interests: As a practitioner I specialized in civil litigation for ten years. That experience has shaped my teaching and research. I am interested in how the civil justice system works, and how (and why) it does not work. These interests have led me to teach Civil Procedure, Civil Trial Practice, Dispute Resolution, Class Actions, Negotiation Theory and Practice, and Comparative Civil Justice Reform. I like active learning and learning by doing. I like to do research-led teaching by bringing my research into the classroom and sharing it with students. I incorporate teamwork into the learning experience, because it is such an important life skill. Students can learn a lot from each other, and I try to structure classroom and other learning experiences to make this possible. We can learn a lot about our own legal systems by learning about other legal systems. I incorporate these kinds of comparisons into the subjects I teach. All successful applications were automatically considered for CERG (Competitive Earmarked Research Grants) funding. This involved international peer refereeing of all applications. Our application was successful in the CERG competition, which increased our funding from $35,000 to $70,000. Litigants in Person in Civil Cases: Survey and Interviews of Hong Kong Solicitors, Small-Scale Research Grant, Hong Kong ($20,000), awarded in November 2002 (with Associate Professor Elsa Kelly). Legal Skills Integration Project, 2006, University of Melbourne - $100,000 (jointly with other colleagues). The purpose of this project was to provide law students with the information and assistance they need to take charge of and to monitor their acquisition and development of professional skills during their LLB/JD studies. Litigation in Action, Multimedia Grant, applied for in March 2003 jointly with colleagues Jacqui Horan and Peter Jones, Melbourne Law School - $45,000. Grant used to develop video and related material for use in Civil Litigation, Advocacy and Dispute Resolution subjects. Learning Legal Ethics in Context, Melbourne-Monash Multimedia Grant, December 2001 - $50,000 (jointly with Professor Adrian Evans and Peter Jones). The purpose of the project was to develop online learning exercises that integrate the teaching and learning of legal ethics into core law subjects. The online programmes developed were used in Civil Litigation and Corporations subjects at the Melbourne and Monash Law Schools. Camille Cameron, "Litigation as ‘Core Business’: Analysing the Access to Justice and Regulatory Dimensions of Commercially Funded Class Actions in Australia" in Deborah R. Hensler, Christopher Hodges & Ianika Tzankova, eds, Class Actions in Context: How Economics, Politics and Culture Shape Collective Litigation (Cheltenham: Elgar Publishing, 2016) 189. Camille Cameron, Jasminka Kalajdzic & Alon Klement, "Economic Enablers" in Deborah R. Hensler, Christopher Hodges & Ianika Tzankova, eds, Class Actions in Context: How Economics, Politics and Culture Shape Collective Litigation (Cheltenham: Elgar Publishing, 2016) 137. Camille Cameron & J. Kalajdzic, "Commercial Litigation Funding: Ethical, Regulatory and Comparative Perspectives" (2014) 55(1) Can Bus LJ 1. Beth Thornburg et al, "A Community of Procedure Scholars: Teaching Procedure and the Legal Academy" (2013) 51(1) Osgoode Hall LJ 93. Camille Cameron, "Commentator’s Response to J. Goodwin 'Norms of Advocacy'" (Virtues of Argumentation, delivered at the Ontario Society for the Study of Argumentation Conference, University of Windsor, 22 May 2013). Camille Cameron & Sally Low, "Aid-Effectiveness and Donor Coordination from Paris to Busan: A Cambodian Case Study" (2012) 5(2) Law and Development Review 167. Evaluating Fast Track and Tax Case Management in the Federal Court of Australia: Interim Report (Sydney: Federal Court of Australia, 2011). Camille Cameron, "The Price of Access to the Civil Courts in Australia: Old Problems and New Solutions - A Commercial Litigation Funding Case Study" in Mathias Reimann, ed, Cost and Fee Allocation in Civil Procedure (Springer Netherlands, 2011) 59. Commonwealth Law Conference, Self-Represented Litigants: April 2003 (by invitation).